PT Bank BRISyariah - BRIS (hereinafter referred to as "BRISyariah") is a well-known financial services company in Indonesia that provides general banking products which operating on the principles of Islamic banking (sharia bank). PT Bank BRISyariah is an integarl part of state-owned lender PT Bank Rakyat Indonesia (Persero) Tbk (BRI Group). At present, BRISyariah is 99.999975% owned by PT Bank Rakyat Indonesia (Persero) Tbk and 0.000025% by Yayasan Kesejahteraan Pekerja BRI (YKP BRI). As of December 2016, BRISyariah runs its business through 52 branch offices, 206 sub-branch offices, 11 cash offices, and 1,044 sharia service offices in all parts of Indonesia. 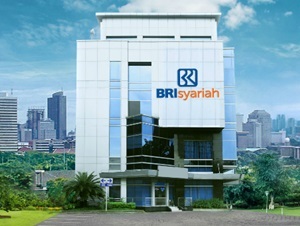 BRISyariah has legal domicile in Jakarta and its head office is located at Jl Abdul Muis No 2-4 Jakarta Pusat 10160. The financial performance of BRISyariah in 2016 showed a good improvement. According to PT Bank BRISyariah Annual Report 2016 as cited by JobsCDC.com, BRISyariah had boosted its assets in 2016 to Rp 27.69 trillion from Rp 24.23 trillion at the end of December 2015. This reflected an increase of 14.27% year on year. BRISyariah managed to record total operating income of Rp 239.23 billion in 2016, an increase of 50.48% from the previous year of Rp 158.98 billion. In year 2016, BRISyariah recorded a net income of Rp 170.21 billion or 38.78% increase from Rp 122.64 billion in the previous year. Minimum University Degree (S1) from well-known university (PTN/PTS) accreditation A (Minimum GPA of 2.75). Required experience in sharia finance industry for minimum 1 year or in conventional finance industry for minimum 2 years. Have driving license class A and C (SIM A and C). Hard workers, honest, target oriented, and tenacious. Have strong understanding and have solid spirit to participate in developing sharia economy. Preferably have customer base retail and consumer financing. JobsCDC.com now available on android device. Download now on Google Play here. Please be aware of recruitment fraud. The entire stage of this selection process is free of charge. 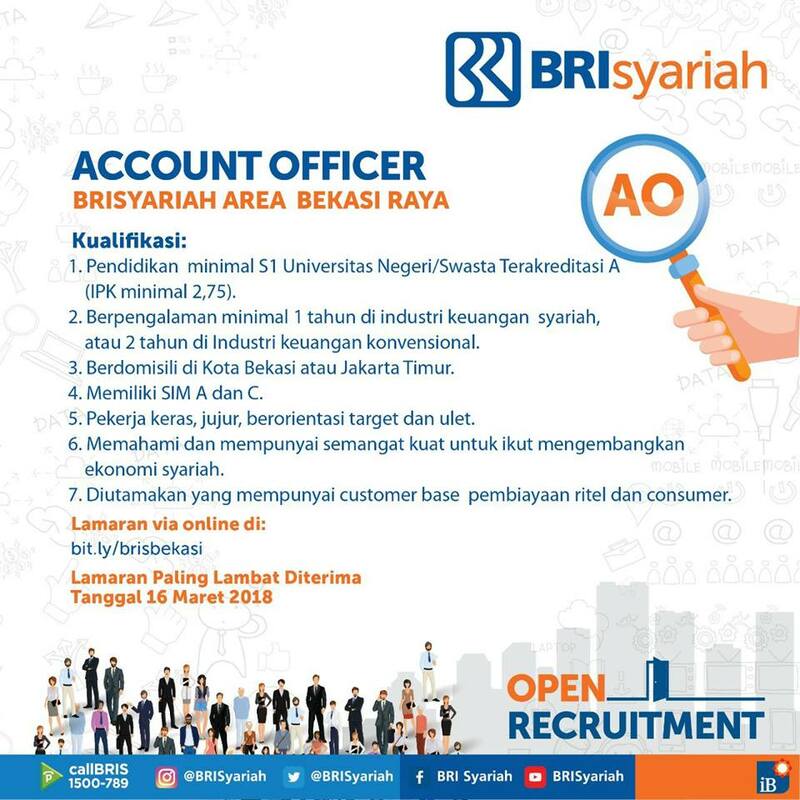 PT Bank BRISyariah - Retail and Consumer Account Officer BRISyariah March 2018 will never ask for fees or upfront payments for any purposes during the recruitment process such as transportation and accommodation.